Int ernationally approved Foot Switches accomodate demanding industrial and specialty medical applications. They can be easily customized with nameplates, imprints, cordsets, connectors and strain reliefs. Click for 2 page flyer. The compact FM Series foot switches are appropriate for light or medium duty and medical applications. With a wide range of options, this series offers a greater amount of flexibility, for a reasonable price. 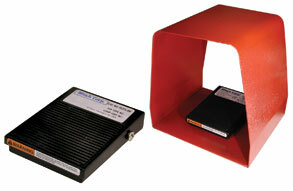 Altech’s new low cost foot switch is ideal for any light to medium duty application. 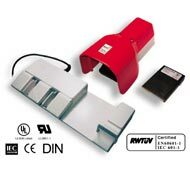 The PCFS-3M has an electrical rating of 10A/1/2HP/125V AC, it can serve as a foot operated on/off switch for a wide range of motor driven and electrical devices. The virtually indestructible steel housing meets even more challenging demands of every day applications. 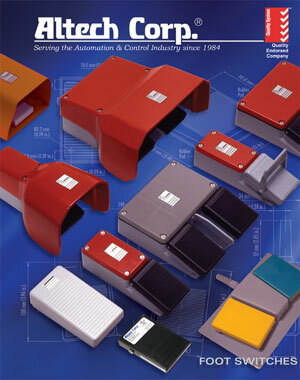 The steel guard comes standard in red or orange and provides an affordable “safeguarding” of the foot switch. The guard is interchangeable with the FM1 series foot switch which makes this configuration a perfect fit for more cost sensitive applications. 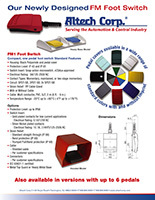 The FK series foot switches are suitable for light and medium duty applications. The medium size, sturdy ABS housing fits up to 3 snap action microswitches rated up to 10A (1/2HP)/250V AC. The momentary and two stage momentary contact types cover almost every demand. 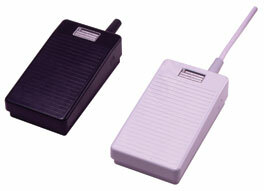 It is a foot switch for low cost needs with a larger pedal than the FM Series. With the optional strain reliefs, cables and connectors and the larger pedal, the FK series is a low cost alternative, where no high protection levels are required. This series covers the range between the FM series and the FS series. The FL series foot switches are appropriate for heavy duty applications in hazardous and demanding environments. The foot switch with the Polyamide 6.6 housing shows the same sturdy body as the FS series, but with the advantage of resistance against water, oil, and certain acids and chemicals, which enables a longer life expectancy. 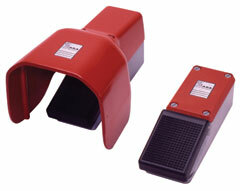 The foot guard consists of die cast aluminum, to sustain all safety requirements. The FL series offers considerable flexibility with the combination of slow make-break and snap action switch inserts, with the contact types momentary, maintained and two stage momentary and the choice of different potentiometer values. Human safety and machine protection can be provided by adding of Anti-Trip lever and foot guard. These items prevent the foot switch from accidentally actuating the machine function. Different strain reliefs, cables, connectors and custom colors are also available. Food industry, where the environment has to be cleaned regularly with cleaning detergent. The heavy duty, medium size FS series foot switches are primarily used in industrial and medical applications. Due to the sturdy design of the die cast aluminum housing, the foot switch is an exceptional value for strict environments. Every combination of slow make-break and snap action switch inserts with momentary, maintained and two stage momentary contact types are possible. Different potentiometer values are also available. Additional safety features like a foot guard, Anti-Trip lever and especially two safety foot switch versions complete this line. The optional medical versions and explosion protected foot switches meet the requirements of either IEC 601-1 or EEX d ||C T6, and come with appropriate strain relief and 3 meter (10 ft.) cable. 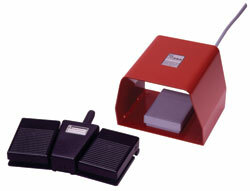 The foot switch can be customized with a wide range of options, including cables, connectors, colors, and foot rests. 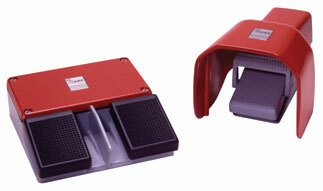 Altech Corp can design and manufacture a foot switch to meet needs. 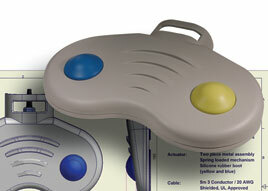 The foot switch on the right shows an innovative concept created by our design department. This takes the foot switch to a totally different level incorporating new ideas and blending them into modern equipment designs. Give us an opportunity to quote on your requirements!